P-TECH schools are open to all students, with no grade or testing requirements — unlike other programs that have a competitive or screened admissions process. P-TECH schools also have the explicit goal of providing college and industry access to historically underrepresented students. The P-TECH Model recognizes that the students who are least likely to complete a college degree are those most in need of early and engaging college experiences. In particular, minority students and low-income students are significantly underrepresented on college campuses. They also have far lower degree completion rates than students from other backgrounds. This gap persists, despite the variety of measures — from entry-level salaries, to unemployment rates, to job satisfaction ratings — that clearly demonstrate the benefits of enrolling in and completing college. P-TECH schools are designed to bridge this gap and support these students by explicitly acknowledging and responding to their needs. P-TECH schools enroll a diverse group of students, including young people from low-income families, first-generation college students, English language learners, students with disabilities, and students of color. Some students arrive with reading and math skills well below grade level, while others far exceed that norm. Regardless of students’ prior academic performance, the curriculum sequencing and instructional supports ensure that all students develop the skills and knowledge they need to graduate within six years. Students must be highly engaged and committed to being successful in the rigorous P-TECH Model. Families must receive recruitment information that fully explains the academic expectations, the extended time commitment, the specific associate degrees offered, and details on the career options open to P-TECH graduates. Students understand the importance and value of schoolwork when they can see clear connections among academic curriculum, Workplace Learning experiences, and the career pathway they are pursuing. P-TECH students have access to a range of supports that foster academic, professional, and personal growth. The school’s goal should be to provide these supports to all students, while the means to this goal will vary as is appropriate to student need. Many academic supports are built into the school’s schedule. During the early years, for example, students may be given extended math and/or English classes to ensure they gain the foundational skills needed for entry into college credit courses. This is particularly critical for students who enter below grade level. In addition, students learn time-management and organizational skills through class assignments that focus on group work and project-based learning. Often, the school day is extended to make time for student study groups, tutoring, and/or small group instruction from teachers. Some schools assign students to study groups and provide them with explicit guidance to ensure they make best use of these various supports. Students also may participate in Advisory classes in which a teacher leads activities designed to help teach personal goal-setting, social skills, and the professional skills required for workplace mobility. Students’ relationships with their Advisors can help identify and address personal and academic challenges that require individualized intervention. Students who are taking a full schedule of college courses can meet with both their school guidance counselor and early college liaison weekly in a group setting to discuss their progress in their college classes. Students who are enrolled in fewer college classes or those in need of additional academic support can meet more frequently with their school guidance counselor and receive more intensive college preparatory support in the form of tutoring or re-teaching of key concepts. To ensure that the high school and college experiences are fully integrated, students may receive academic counseling on the college campus. Because students enter at all skill levels, additional time — and the creative use of that time —is crucial to ensuring that all students graduate ready for a career or more college. In addition to bringing college-level coursework into high school, the school day and year may also be extended beyond the traditional 10-month school schedule to include even more individual support for students. As mentioned above, the additional time may be used for study groups or may also be used to provide small group instruction to students who may be struggling in a given subject. For those students who are on target or accelerated, the extra time enables them to accomplish their academic and career goals at a faster pace. 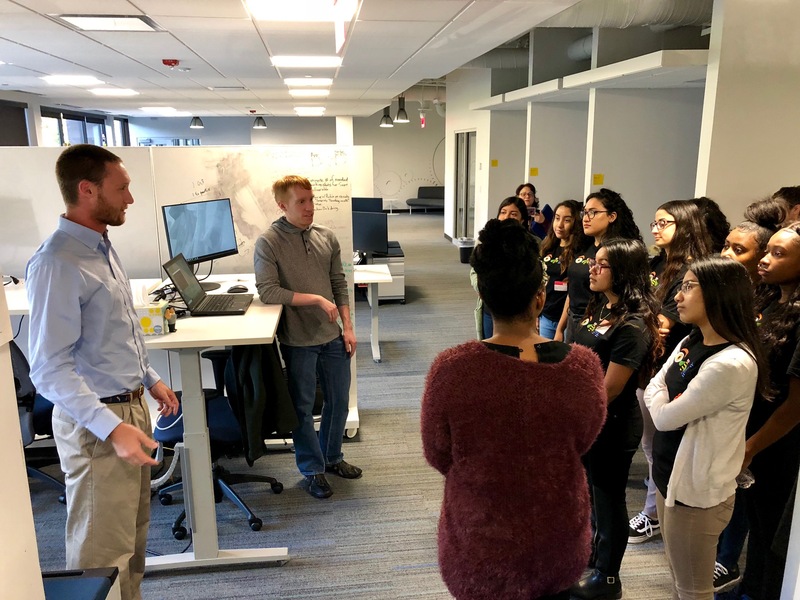 School leaders can also make specific use of the summer to immerse incoming students into the P-TECH culture, assess students’ academic levels, and give them the opportunity to tour work sites and college campuses. School started early for 50 incoming ninth graders at Excelsior Academy’s inaugural Summer Bridge program. It’s one way that the P-TECH Model redesigns high school. Research shows that families are key influences on student academic success and on college matriculation and retention. P-TECH families may need guidance about successful ways to support their children along the challenging path they have chosen. Family members need to understand that this program has high expectations for both them and their student. Family members should be included in their student’s journey as much as possible. They should ensure students keep up with homework, avoid taking them out of school for long periods of time, and allow and encourage students to come to weekend and summer activities. For this reason, it is important to identify the messages, information, and types of support that families will need prior to the start of the program, as well as in each year of coursework. During the student recruitment process, for example, open houses not only educate families about the school, but also about the job skills the students will be expected to learn and the types of jobs they will be qualified to fill upon graduation. During these sessions, inviting industry professionals to speak to their job experiences and college faculty to describe the associate degree requirements have helped families better understand the school and the value proposition. Likewise, in subsequent years, seminars that dive deeper into career development skills (e.g., interviewing skills) can help families better understand how they can ensure a child’s success. Family engagement requires an ongoing effort to be successful. A family member could, for example, serve on a school leadership team and be responsible for school-based planning and shared decision-making. 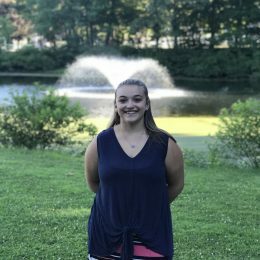 This team member provides the family perspective and can communicate to other families in general, including the PTA, so they have a better understanding of school decisions. The school also could provide more than the mandated teacher conferences each year. Creating a Parents’ Academy offers one approach to providing ongoing support to families and keeping them engaged in the child’s success. To tailor trainings to their interests, family members are surveyed early about topics such as computer literacy or college finance. Classes are held at convenient times in the evening or Saturdays. Schools are members of a larger community and play an important part of a neighborhood’s identity. Once a P-TECH school knows its location, a first step to engaging the community is understanding the most salient issues in that community. Attending community hearings and council meetings can be an excellent way to engage. The meetings could be used to survey the community about how they would like to engage with the school and where they see possible partnerships that are mutually beneficial. As a newly announced school, Norwalk Early College Academy (NECA) began recruitment later than other city schools and thus needed a comprehensive strategy to attract students.